Bigger is better…or is it? The Nintendo Game Boy Advance brought a 2.9″ reflective color LCD to the table, capable of displaying 80 more pixels than its predecessors. The size of the unit was 3.2″ tall, 5.7″ wide and less than an inch thick. Unfortunatly, the lack of a backlight made it difficult to play the system in low lit areas like the Game Boys before it. Despite the layout change from all of the previous Nintendo handhelds, the buttons remained similar. On the left you have the standard D-pad and the Start and Select buttons. In the center is the color screen. To the right of the screen there is a red LED light that glows when the system is powered on and the A and B action buttons. A couple new buttons were introduced on the system, however, they are in the form of two shoulder buttons L and R located on the top left and right of the machine. 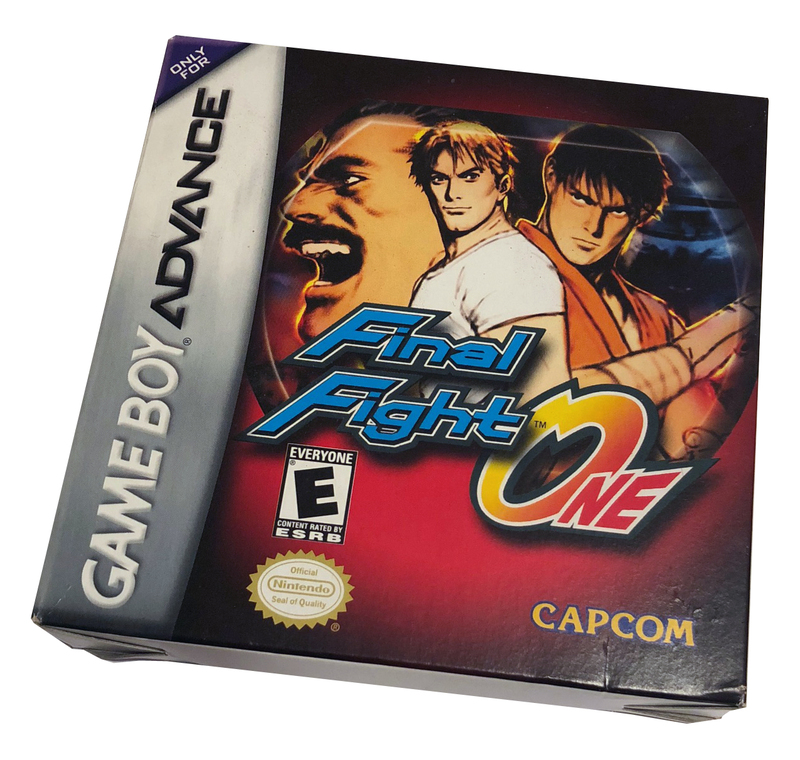 In addition to these buttons adding functionality to new Advance games, they are used to change the screen format when playing older Game Boy and Game Boy Color games. Clicking the L or R buttons will switch the older games from being stretched to fit the new wider screen, or not stretched by placing black bars on the left and right of the game. 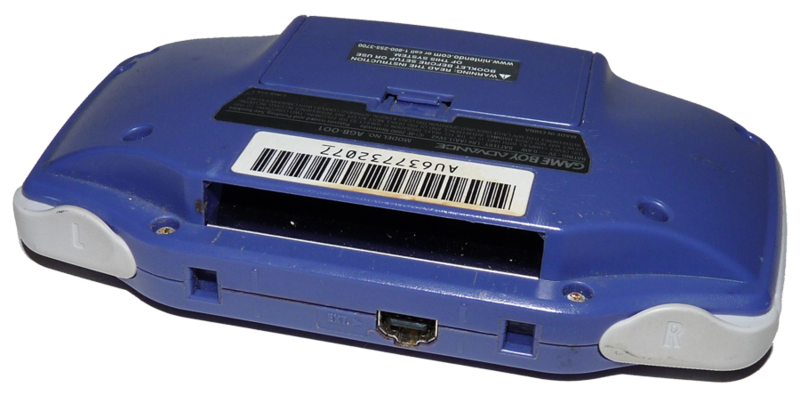 On the back you have the cartridge slot. Even though the Game Boy Advance carts are shorter than the original Game Boy carts, they have the same size blade and will all fit in the Advance. 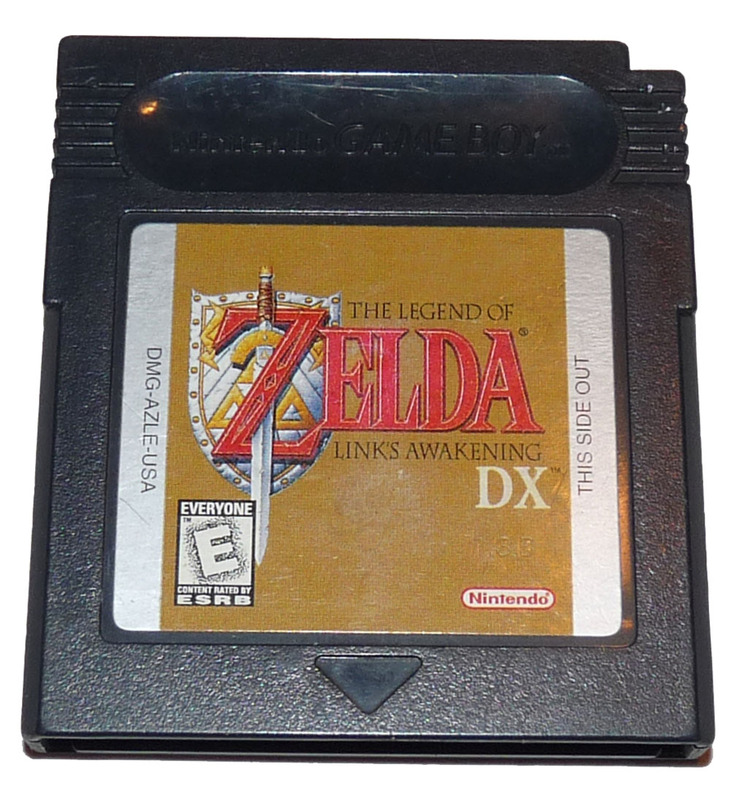 The game label faces outward on all carts when inserted. Below the cart slot is the battery compartment which houses 2 AA batteries that can supply over ten hours of play times. 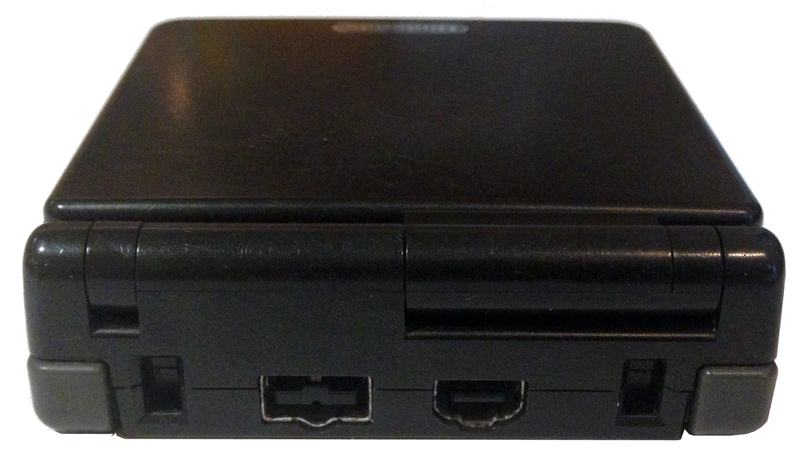 On the top of the unit, between the shoulder buttons is the same smaller EXT port that was introduced on the Game Boy Color. This allows you to link multiple systems together and was used for a handful of other accessories. The two notches on the top are also used by some accessories for attaching to the unit. 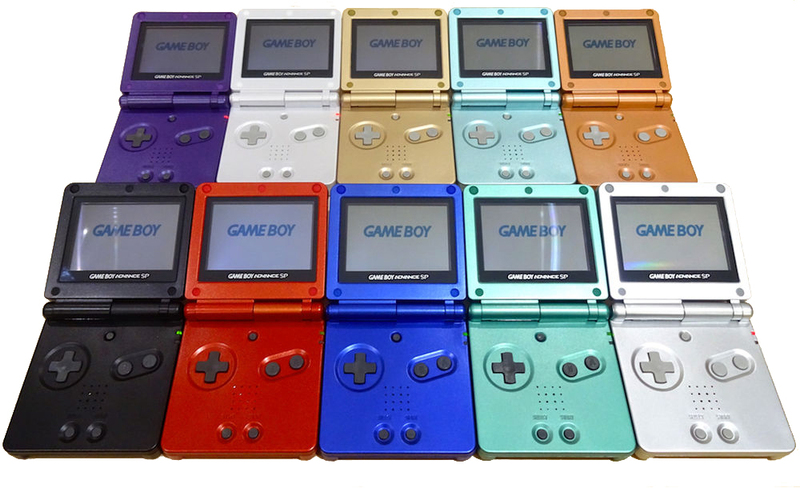 The original Game Boy Advance was available in Black, Arctic, Orange, Fuchsia, Transparent Glacier and Indigo. It would go on to have several other colors released along with special releases. 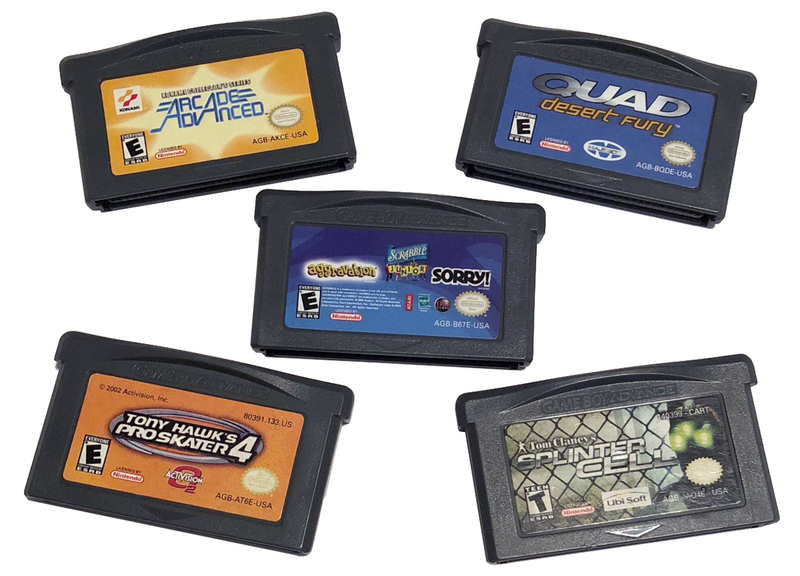 The Nintendo Game Boy Advance will play all of the following carts. Let there be LIGHT! And there was light… and it was… OK.
A couple years after the launch of the original Nintendo Game Boy Advance an amazing thing occurred. Nintendo released the Game Boy Advance SP, and with it we finally got a screen with a built-in light! To go along with the very nice screen we got an awesome new utilitarian look. The SP returns to more of an original Game Boy layout with the screen up top and the controls as the bottom of the unit. One of the cooler things about this system though is that the screen is hinged and will close up like a clam shell (its nickname) or a flip-phone, turning into a tiny 3.25″(ish) square less than an inch thick. On top of all that the Nintendo Game Boy SP will play all Game Boy games that came before it. 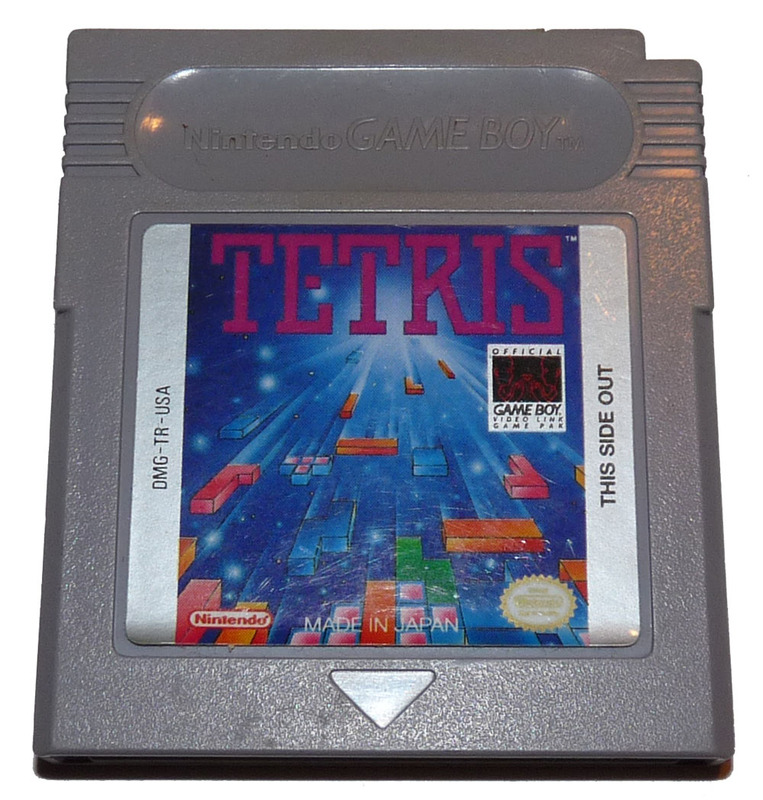 So you could finally play the original Tetris in the dark with the new lit screen. Let’s look at the layout. 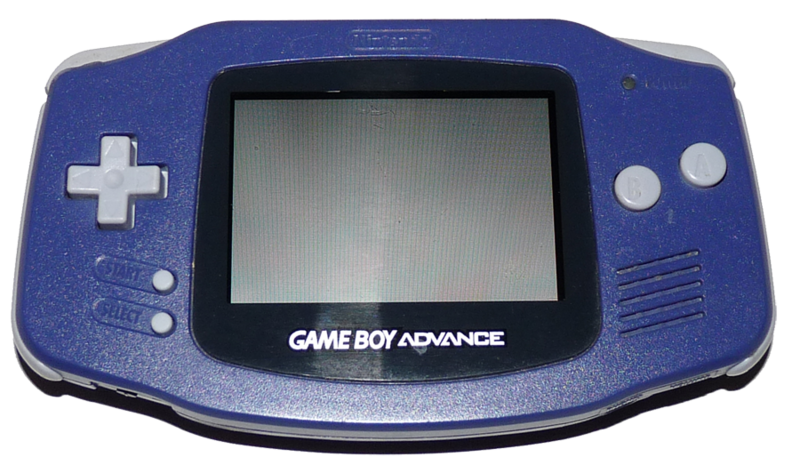 The screen itself is the same size as the original Advance model. This version of the Nintendo Game Boy SP (AGS-001) provides light to the screen basically from the front (sides). While this is a major upgrade from no light at all, it still is not very bright. But in the dark, you can definitely play. Below the screen on the bottom half of the unit are the standard controls we are used to: A D-pad, A & B action buttons and the Start and Select buttons. The single speaker for the system in right in the middle of all of these. One new button appears at the top which will turn on and off the light on the screen. On the left of the unit is the volume control. On the right side of the unit is the power switch. Also on this side towards the top are two LEDs. The top one is green and lights up when the system is on and the one below that is red/orange and will light up when the battery is low. On top of the unit (and in this case it is the top of the bottom half of the unit not the top of the screen) you have the now standard small EXT port and a new Power Supply / Battery Charging port. And on the edge of each side are the R & L buttons which have been reduced in size from the original Advance model. On the top there are also two holes for attaching a carrying strap. 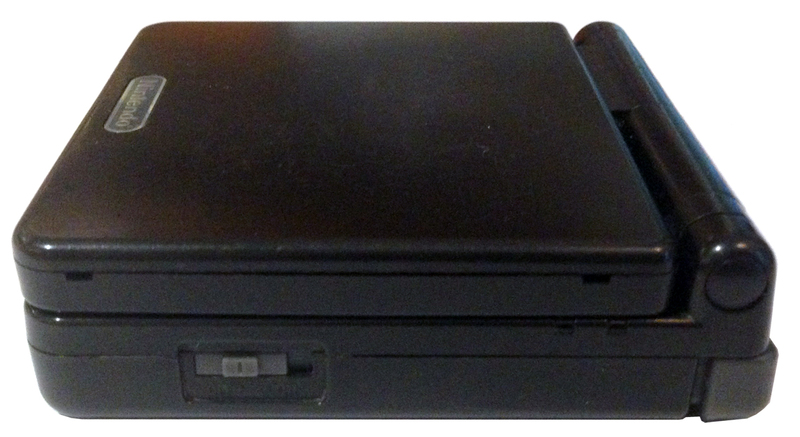 The cartridge slot has been moved to the bottom of the unit. 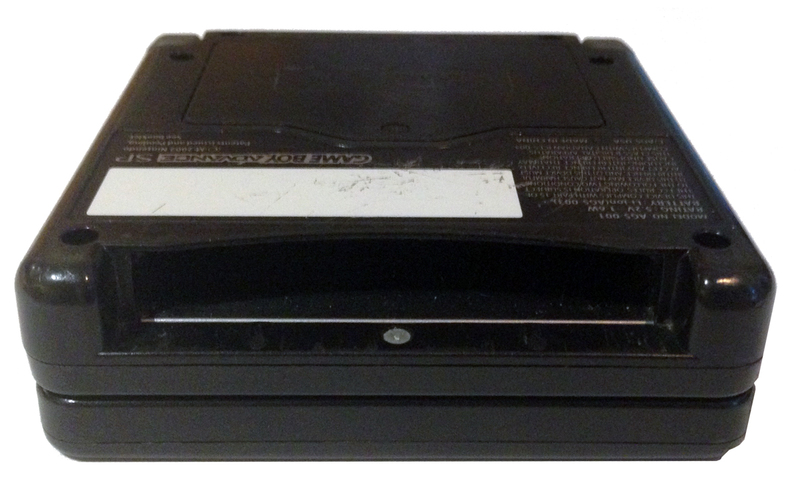 Game Boy Advance carts sit flush to the machine and aren’t noticeable from the front when playing, but the larger original Game Boy and Game Boy Color carts stick out a little bit from the bottom when inserted. On the back of the unit is the battery compartment. This is a big upgrade in my book as it is now a rechargeable lithium ion battery! What’s great about this guy is that it is replaceable when it eventually dies. It will charge fairly quickly and last for over 10 hours. Now, let’s talk about what is missing from the SP! 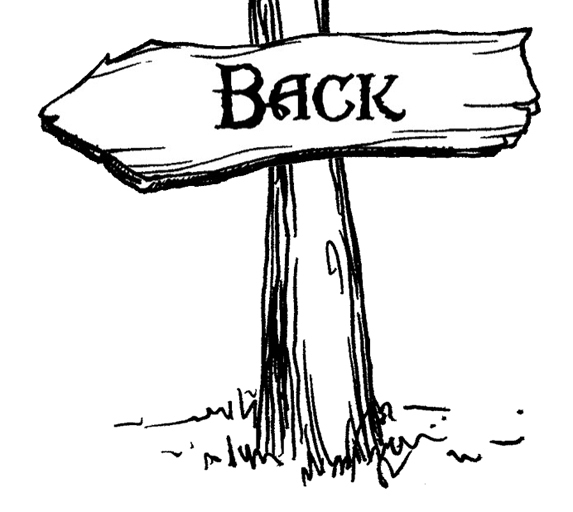 Gone now is the headphone jack, which is kind of lame. You can however get a dongle that plugs into the EXT port and will provide a connection for a standard 1/8″ Audio port from any headphones. You can also find headphones that have the EXT port connection on them that are made for the SP. Let there be LIGHT! And there was light… and it was… GREAT. The Nintendo Game Boy Advance SP Model AGS-101 is exactly the same as the AGS-001 except for one important change. 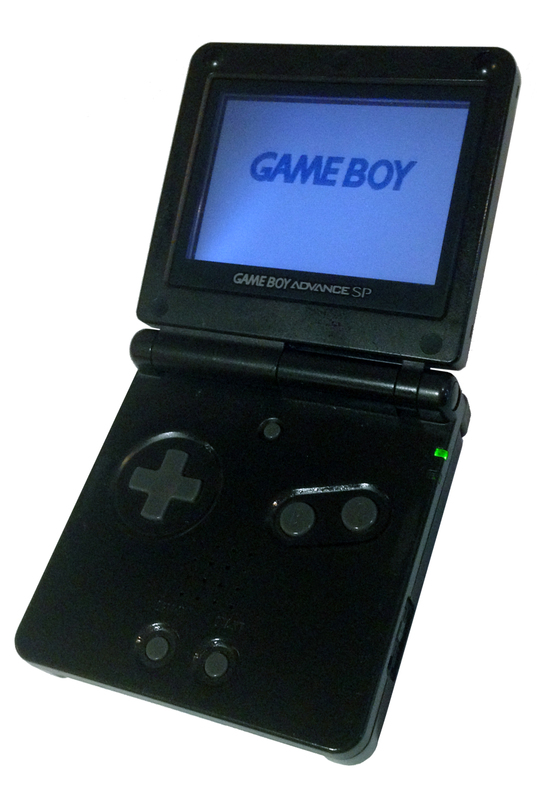 The weak front light for the screen on the original SP model has been replaced with a true back-lit screen. This is a vast improvement over the front-lit version. The small light-on / light-off button now switches between two levels of brightness and there is no way to turn the screen light off. Even the lower brightness setting is twice as bright as the light from the original. The highest brightness setting is super bright and can be played in almost any situation. If you can only have one Game Boy, the 101 is the one you want. You can play Game Boy, Game Boy Color and Game Boy Advance games on this bad-boy all with a super bright and sharp screen. To tell which version of the SP you are holding, look on the back for the model number as it is the only external change that was made and these guys appear identical. If the system has power, you can turn it on and press the light button. Also, if all you have are bright and brighter (and no off), then you’ve got a 101. In what has become normal for Nintendo at this point, both versions of the SP came in several colors. The original 001 model initially released with color options of Platinum Silver, Charcoal Black and then Flame Red. The 101 was initially available in Pearl Blue, Pearl Pink and Graphite. Both versions ended up have several special color schemes also, like an NES version and Sponge Bob. This little guy was the last system released in the “Game Boy” line. 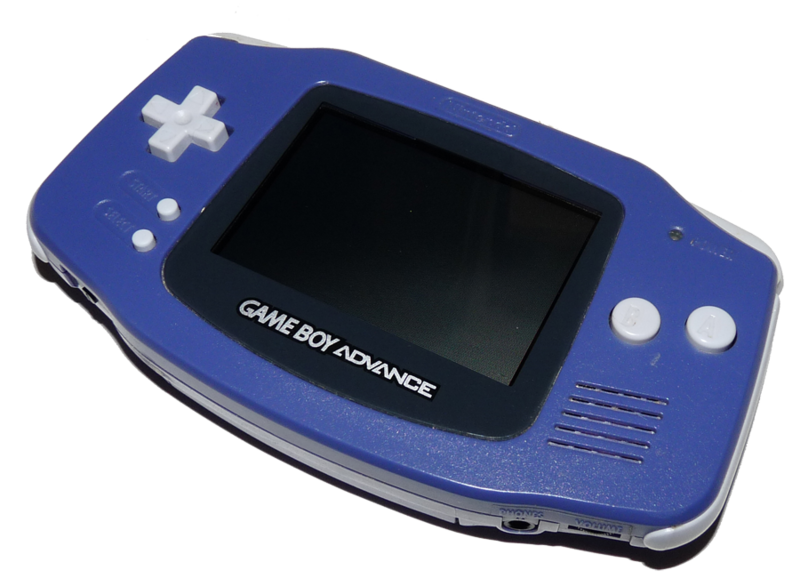 Basically the Game Boy Advance was crammed into a package smaller than an NES controller, measuring 2″ tall, 4″wide and less than an inch think. The screen is still back-lit and is even sharper than the Game Boy Advance SP 101, but it is a much smaller screen at about 2″ diagonally vs. the 3″ size of the SP. 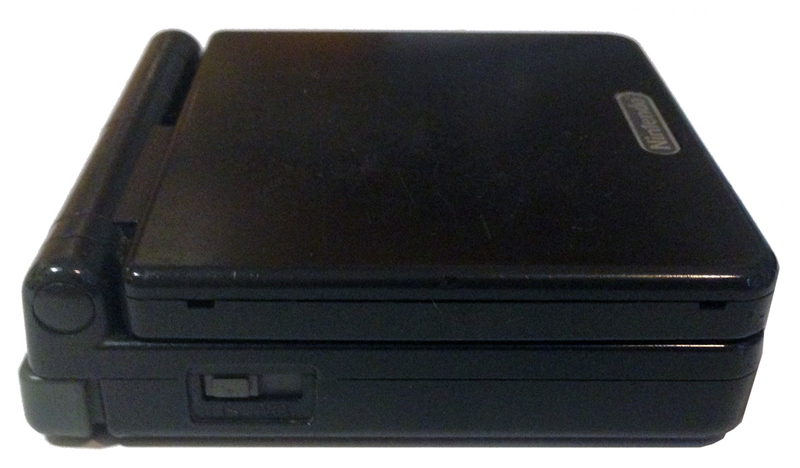 With this tiny package, several options from the original Advance systems were removed. The biggest removal was that of backwards compatability. 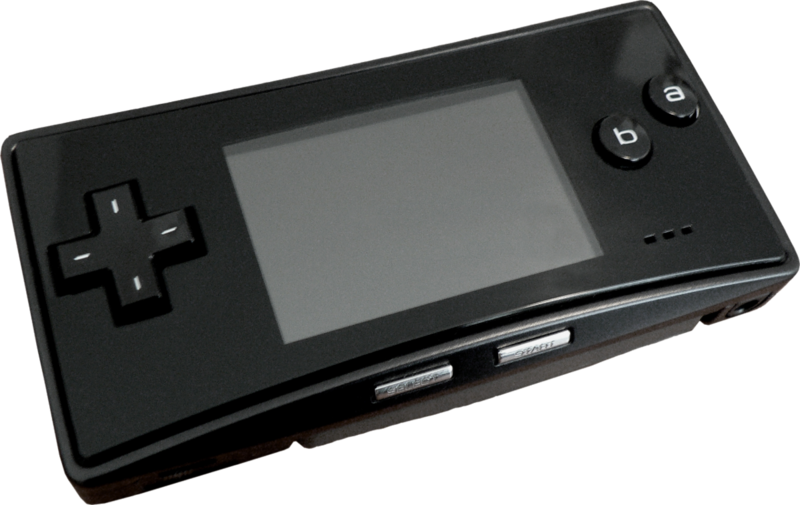 The Nintendo Game Boy Micro will ONLY play Advance games and will not play original Game Boy or Game Boy Color games. As far as layout, the front of the unit has the D-pad and A & B action button on either side of the screen, along with three tiny holes for the single speaker. The Start and Select buttons are located below the screen on a curved bevel surface and will both light up when the system is turned on. One of the cooler features of the Micro is that you can remove and replace the Faceplate, so you can change the Micro color and appearance to any faceplate you can find out there. 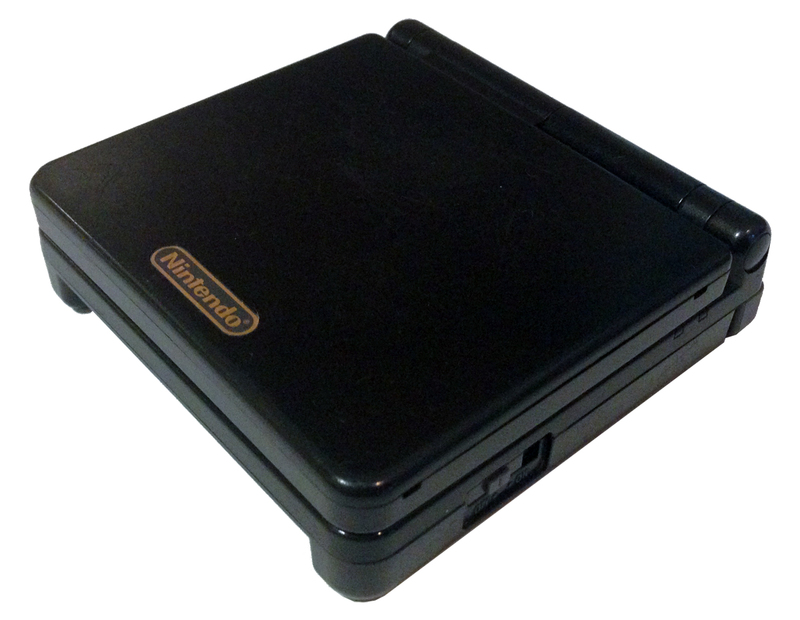 The bottom on the unit has the cartridge slot similar to the SP bottom design. To the left of the cart slot is the Power switch and to the right of the cart slot the standard 1/8″ headphone jack has returned after being removed from the SP models. On the right side of this little rectangle is the volume slider and a spot to attach a carrying strap. These little guys are cool, and the super bright screen is nice. 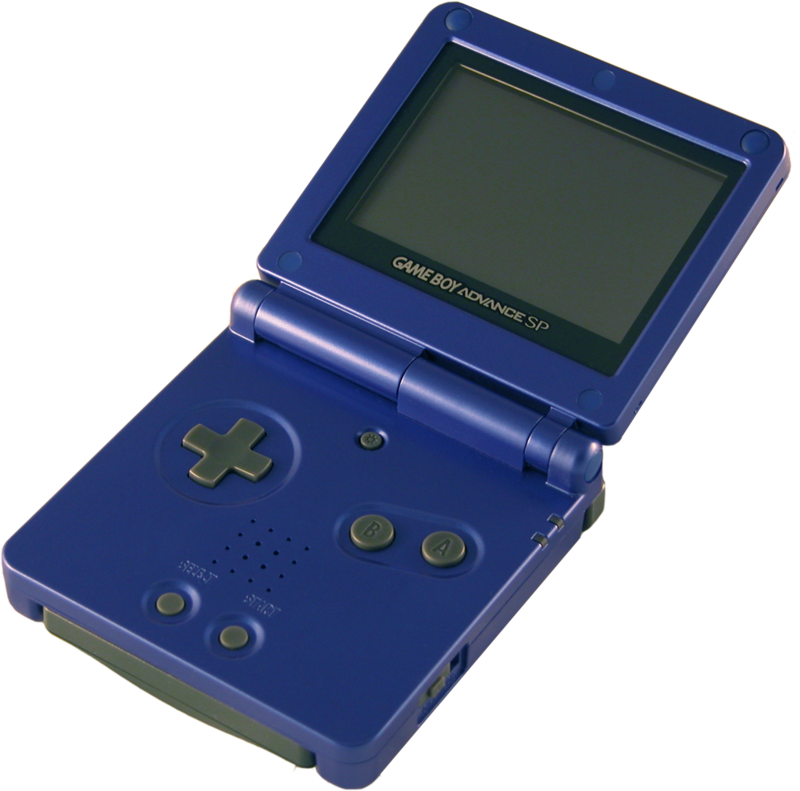 But, without the ability to play the original Game Boy and Game Boy Color games, I prefer the SP 101. 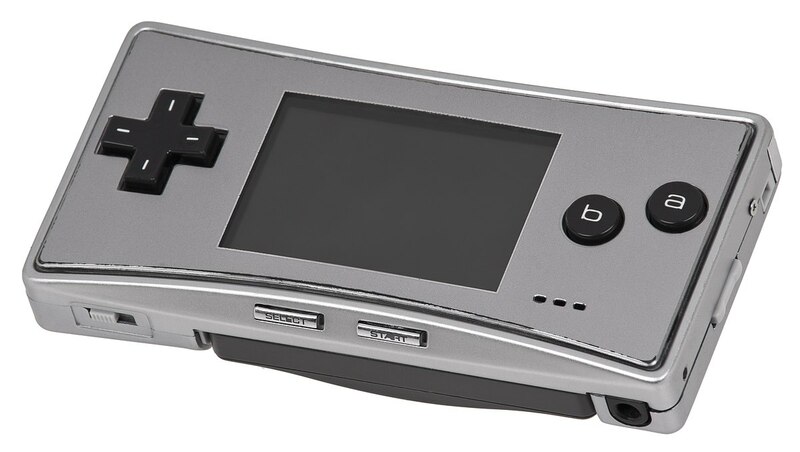 The Game Boy Micro will only play Game Boy Advance carts. 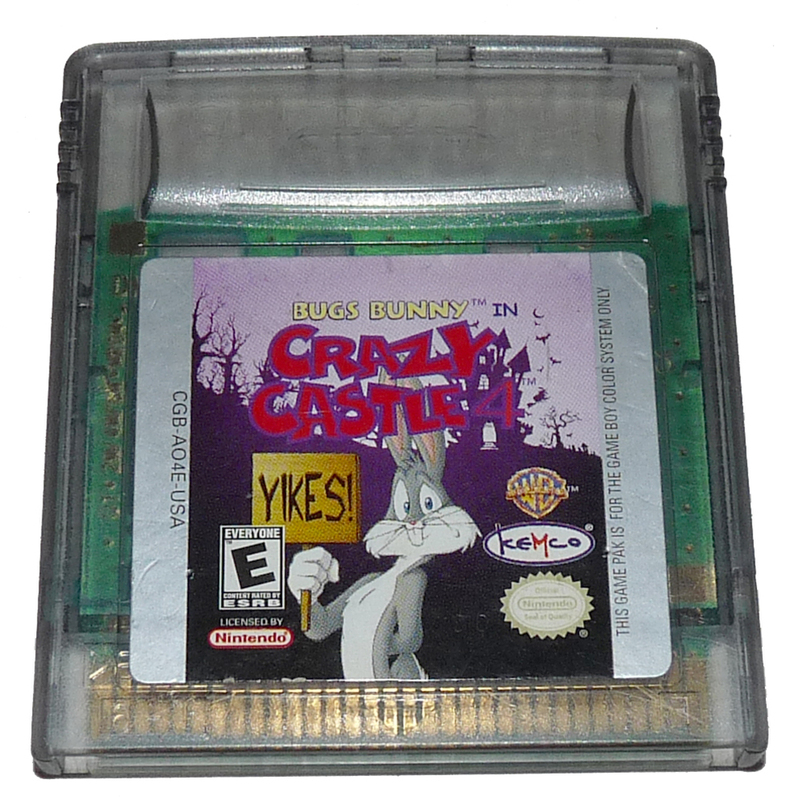 While the Game Boy Advanced is technically a 32-bit system, its games are more like 16-bit advanced games. You’ll find Mario and even Sonic well represented in numerous games. And while there are many 3D titles (and some being very well done), most of the games are your standard 2D action and platform games. 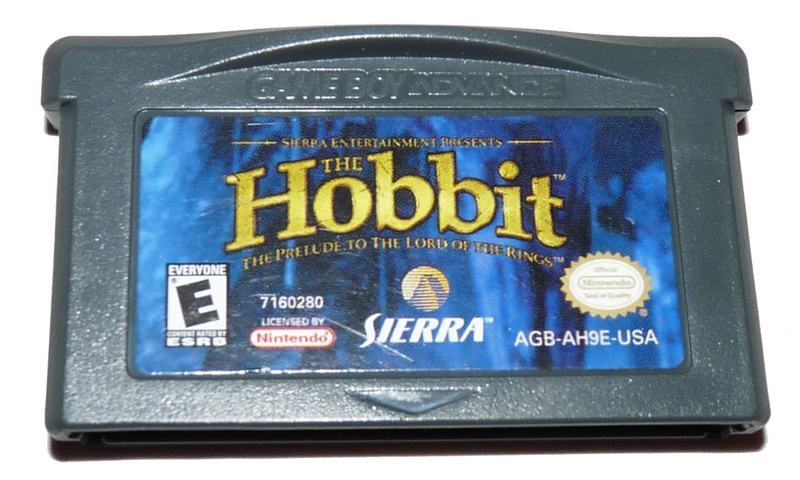 The Game Boy Advanced cartridges themselves are about half the size of the previous Game Boy carts and most are dark grey but there are some other colors carts out there like the Pokemon Series. The game boxes are about 6″ square and made from cardboard. Inside you will find a cardboard insert with an indention to hold the tiny cart along with the manuals and inserts. With over 800 Advance games available and another 1000+ games when you include the original Gameboy and Gameboy Color libraries, this is an easy system to collect for. In addition, most games, including marquee titles are very affordable.